Solomon reminded me that I hadn't commented on reports of the USAF leadership's view of the Sukhoi T-50, the prototype for the Russian PAK-FA future tactical fighter. That's because at first sight I found the statements unremarkable - but then I realized that, in itself, that is worthy of comment. In the Cold War, you could rely on the Pentagon and the USAF to play up the Soviet threat for all it was worth. The MiG-25? Not only Mach 3 but an agile dogfighter. The Tu-22M Backfire was a B-1 equivalent with the range for strategic attacks against the US. And if you disagreed with the USAF that the nation consequently needed lots of F-15s and B-1s, you were clearly some kind of fluoride-swilling crypto-Commie prevert. There was actually a running fight between the military intelligence agencies and the CIA, which bypassed the Pentagon and took its data to black-program teams within industry. The most public rumpus was over Backfire, where the boss of USAF intelligence tried to force McDonnell Douglas to recant the conclusions of a CIA-contracted team within the company, whose estimates of the bomber's performance were lower and far more accurate than those of Air Force analysts and the Defense Intelligence Agency. Donley's comment, of course, is a demonstration of the Mandy Rice-Davies principle in action: He would say that, wouldn't he? His immediate predecessor was canned for (among other things) expressing incorrect and counter-revolutionary sentiments regarding his boss's F-22/F-35 plan. Gen. North, meanwhile, is falling into the old technical intelligence trap called mirror-imaging: we want the B-1, so the Soviets must want a B-1 as well. 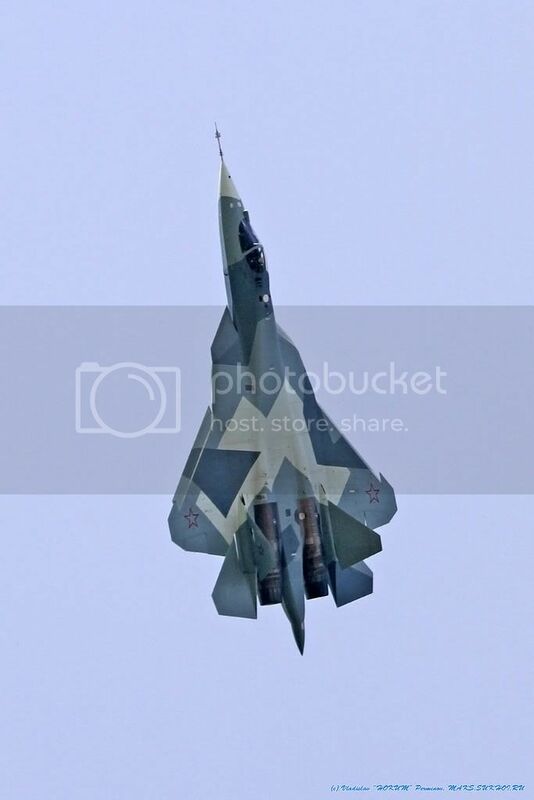 The PAK-FA's front end bears a superficial resemblance to the F-22, but its hindquarters could not be more different, and - just for starters - it's a reasonable assessment that the Russian concept of balancing stealth with other requirements is very different from that which informed the F-22 design. 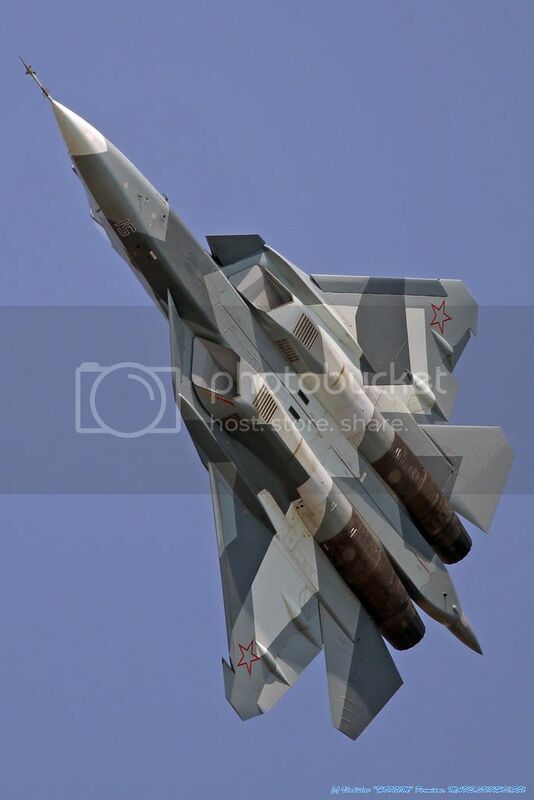 I'm not sure that anyone has an accurate assessment of the PAK-FA threat, in terms of timing, numbers and detailed capability - that will depend on how fast the Russia-India relationship can move things forward, which in turn depends on money, as well as on technical resources. But it is pretty clearly a supercruiser, probably a good one, with some unique features that are there to combine speed and high agility without counter-stealthy aerodynamic surfaces all over the place. And had you started thinking about this kind of design in the late 1990s, and if "eating F-35s for breakfast" was on the requirements list, you'd end up with something like T-50. So I'd suggest that writing it off as a me-too F-22 is a bit premature.